- The Rice Mill Plant systems: 01 main Rice Mill Plant located in Long An Province, 02 subsidiary Rice Mills located in Tien Giang Province and some Rice Mill partners that link to our company – rice is eligible for export – Total export capacity of 3,000 tons per day. - Paddy drying system capacity of 300 tons per day. - Storage Capacity: 20,000 tons of paddy and 50,000 tons of finished rice. 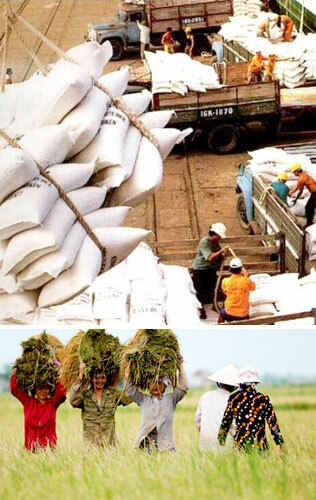 - Rice processing capacity of 400,000 tons per year including different products such as: Vietnamese Long Grain White Rice 5% broken, 10% broken, 15% broken, 25% broken, 35% broken and 100% broken. - Phuong Quan also provides fragrant rice such as Thai Fragrant Rice (KDM), Jasmine Rice, and Taiwan Fragrant Rice. - Rice is packed into some types of PP, PE, PA/PE, BOPP bag such as 1Kg, 2Kg, 5Kg, 10Kg, 20Kg, 25Kg and 50Kg depending on customers’ request.